Is Lindsay Arnold Lesbian ? 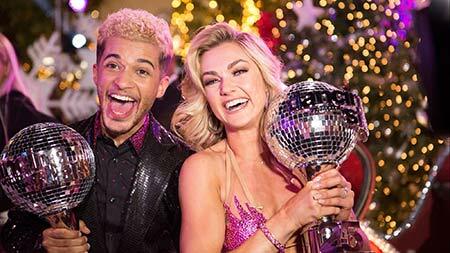 Lindsay Arnold is a professional dancer and choreographer who won the "Dancing With the Stars" season 25 with actor and singer Jordan Fisher. She is a pro dancer and one of the mentors on the show. She came to limelight after competing on "So You Think You Can Dance". She is a skilled dancer who knows various dance forms like Paso Doble, Jazz, Samba and many more. Lindsay Arnold was born Lindsay Arnold to parents Josh Arnold and Mindy Arnold on January 11, 1994, in Provo, Utah, United States. She grew up with her three younger sisters Jensen Arnold, Brynley Arnold, and Rylee Arnold. Growing up Arnold was always interested in dancing and decided to pursue her career as a professional dancer and choreographer. Lindsay, 24, came into the limelight after she participated in the 9th season of So You Think You Can Dance when she was 18 and showed her versatility on the show. During the show, her dancing partner was Cole Horibe, a martial artist and later on she also partnered with Jakob Karr and Alex Wong. She exited from the show ranking on top 8 and after her exit, she performed on the 30-city tour. Her dancing was appreciated so much so that she was chosen as a pro dancer on the popular dance show, Dancing With the Stars. In the show, she choreographed and partnered with boxer Victor Oritz. They couldn't win and were eliminated in eight places securing an average score of 19.7/30. Then she came back in season 17 as a member of the dance troupe and continued as a pro in the troupe through season 20. In season 21 she was paired with National Guard member Alek Skarlatos. The dancing duo performed many dance forms like jazz, Paso Doble, rumba, tango and many more and managed to reach the finals. They ranked third in the competition and collected an average score of 25.2/30. It was in season 25 she finally managed to win the competition with actor and singer Jordan Fisher. The duo averaged a score of 27.9/30 and ranked first. They were judged by Shania Twain and Julianne Hough. Lindsay Arnold's net worth is not estimated but she earns a lot from her career as a professional dancer and choreographer. In the United States, the average salary of a choreographer is $49.8k and their salary can range from $26k to $52k. For winning the show Dancing with the Stars she got paid a decent amount of money. The actual amount is not revealed in the media but the celebrity guest winner gets paid more than $345,000. 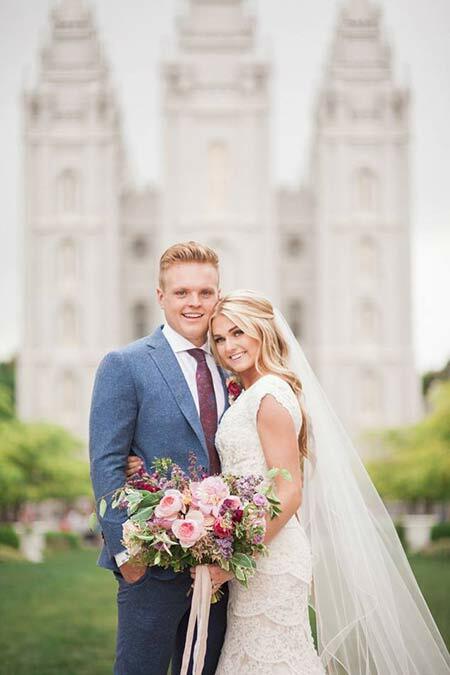 Lindsay Arnold is a married girl who tied the knot to her friend and lover from high school named Samuel Lightner Cusick. They got married in a private ceremony on June 18, 2015, at Salt Lake Temple in the Salt Lake City. The wedding ceremony was attended by closed ones including her friends from the show, Dancing With The Stars, Jenna Johnson, Brittany Cherry and Emma Slater who were also her bridesmaids. Arnold and husband Samuel Lightner Cusick. On July 17, 2018, Arnold participated in a charity celebs basketball game. The charity was of 50k and was played at the UCLA'S Pauley Pavilion in Westwood, Calif. She was joined by Miles Brown and Rashad Jennings. All the players chose their own charity to donate $5000 each. It was a successful event as it raised awareness and motivated lots of others to conduct these types of charity events. She has around 768k followers on her Instagram account and 126k on her Twitter as of January 2019. The couple enjoyed a romantic vacation in Sandals South Coast, Jamaica. The lovely husband and wife looked a picture-perfect couple. The couple has not planned for children. They may update about their family life and future plans in the following days. Lindsay Arnold is married to her high school sweetheart, Samuel Lightner Cusick. The couple got married on June 18, 2015, at the Salt Lake Temple in Salt Lake City.